"I now have a new book for my 'Five I'd Take to a Desert Island' list. 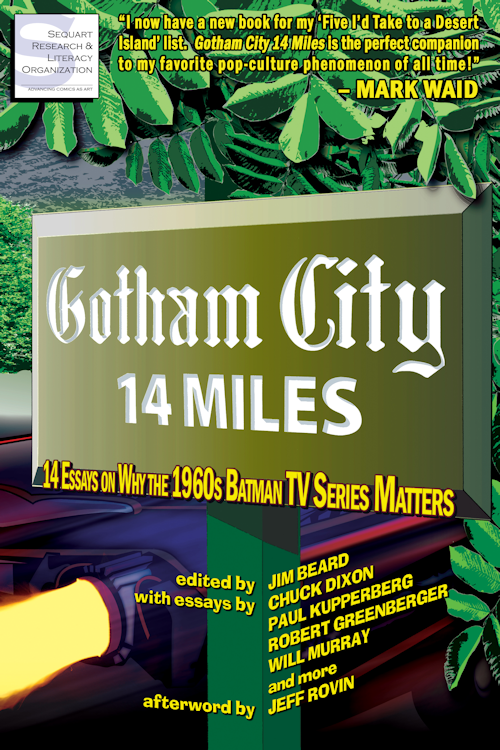 Gotham City 14 Miles is the perfect companion to my favorite pop-culture phenomenon of all time!" Gotham City 14 Miles offers the 1960s Batman TV series the critical reevaluation it deserves. Its essays examine Batmania, camp, the role of women, the show’s participation in ’60s counter-culture, its many celebrated actors, its lasting cultural effects, and other critical subjects. From 1966-1968, on both ABC and in movie theatres, America embraced Batman as a campy cultural icon. The nation thrilled to deathtrap cliffhangers and phrases like “Atomic batteries to power!” and “Same bat-time, same bat-channel!” But in the ensuing decades, many vilified the show as an embarrassment that needed to be swept under the rug if Batman — and super-heroes — were to be taken seriously. Having won this battle for legitimacy, perhaps we can now return to Adam West’s Gotham, to the unapologetic fun of colorful, cackling villains hatching bizarre schemes, and deadpan heroes ridiculously climbing walls. And perhaps we may find it not only fun but rich with deeper cultural meanings. This book has been covered by Comic Book Resources, Newsarama, The Toledo Free Press, Tor.com, Popgun Chaos!, Gear Live, and ComicBookCollectorsBlog. A beta edition debuted at New York Comic-Con, where it sold out. In addition, the panel at that con was standing room only. A native of Toledo, Ohio, Jim Beard is a comic-book writer, historian, and journalist. His credits include work for DC, Dark Horse, IDW, and TwoMorrows, and he currently provides weekly content for Marvel.com. His second favorite comic-book character is Shelly Mayer’s Ma Hunkel, the original Golden Age Red Tornado. 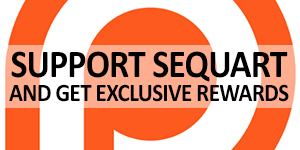 See more, including free online content, on Jim Beard's author page.